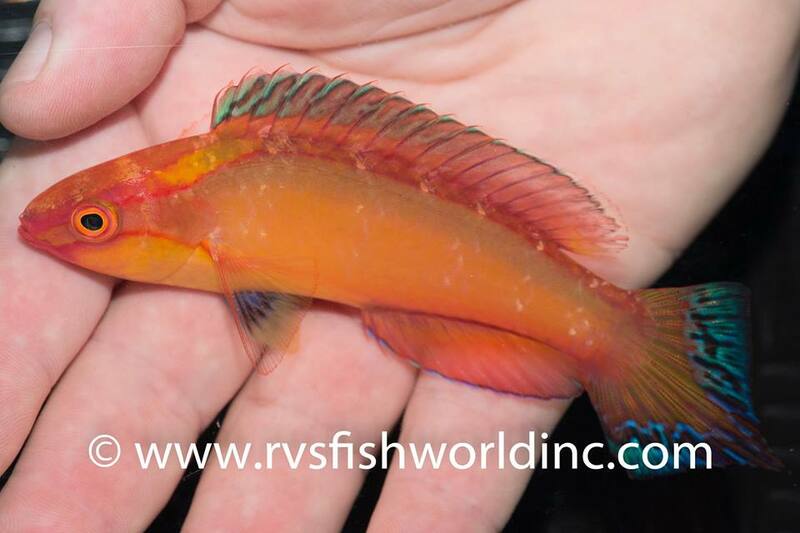 Cirrhilabrus lanceolatus Found Far From Japan! Home / Fish / Cirrhilabrus lanceolatus Found Far From Japan! 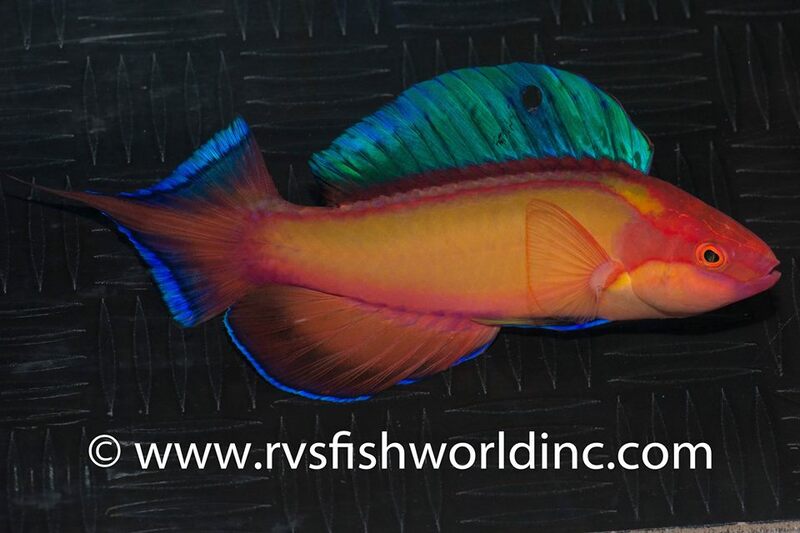 Of the many species of fairy wrasse which make their way into the aquarium trade, few can rival Cirrhilabrus lanceolatus for its sheer beauty, rarity, and desirability. This species is one of the true holy grails for labrid collectors, with only a small number of specimens finding their way into the aquarium trade (and with even fewer being exported outside of Japan). There have always been two main challenges when it comes to acquiring this species: 1) It occurs only in deep, mesophotic reefs… typically in excess of 40 meters, but likely far deeper as well. 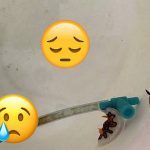 To collect a specimen requires immense effort, and to successfully bring one back to the surface in good condition can take nearly a day’s worth of barometric decompression time. 2) Until now, C. lanceolatus had only been recorded from a handful of locations in Japan, meaning that the majority of specimens that did get collected tended to stay in the Japanese market. 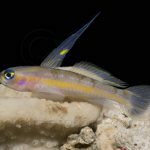 But there was always the slim hope that this majestic wrasse would someday be found elsewhere, and, sure enough, the indefatigable collectors at RVS Fishworld recently stumbled upon a population far from home. At the oceanic reefs of the Scarborough Shoals in the South China Sea, at a staggering depth of over 200 feet, divers succeeded in collecting four specimens, including the beefy male seen here. This new outpost has proven to be a veritable piscine treasure trove, full of many interesting species with a preference for clear, oceanic waters (such as the unusual Xanthichthys juveniles found in abundance there). 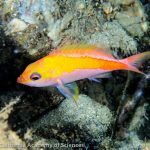 It’s interesting to note that this wrasse has yet to be found in the waters around Cagayan, where RVS has previously collected many other species of reef fishes which normally exhibit a Japanese endemism. 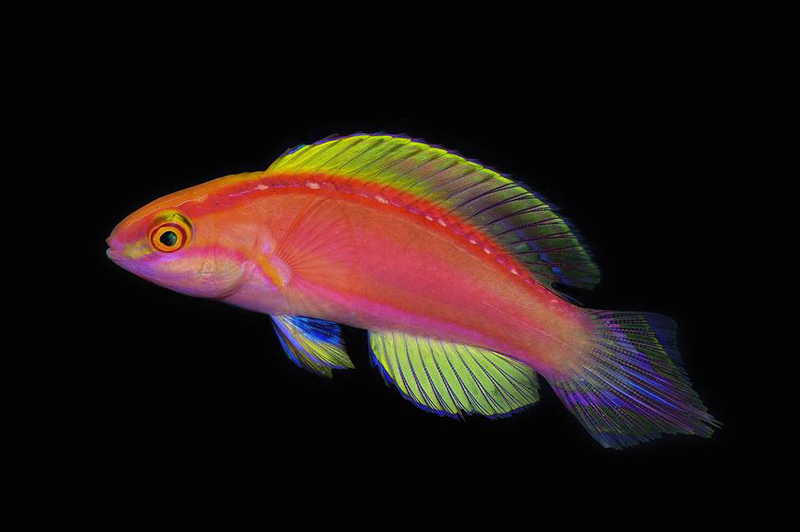 Instead, these waters seem to be home to a different member of this particular deepwater Cirrhilabrus group, one which was only discovered last year and eventually christened with the evocative name Magma Wrasse. 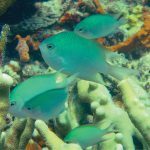 That fish, which is set to be described sometime this year, may eventually prove to be the missing population of the Mariana Arc—a region which is now known to share certain aspects of its ichthyofauna with the northernmost Philippines. This raises a number of interesting biogeographical questions and present the possibility that a number of different hybrids might be expected at this important “suture zone”. Might we someday find a lanceolatus X Magma Wrasse or lanceolatus X roseafascia hybrid lurking in these waters, and, if so, what might it look like? 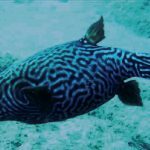 In fact, we may have already found an example in the form of an enigmatic specimen observed repeatedly at the Ogasawara Islands—a region where members of the Japanese fauna (like C. lanceolatus) are known to regularly overlap with the Micronesian fauna (exemplified by the Magma Wrasse). No doubt there are other exciting finds waiting to be discovered in the depths of this obscure reef system, and one can’t help but wonder about some of the other mesophotic Japanese species that we might hope to encounter lurking in the inky blackness of Scarborough Shoal.